SAW032076 SCOTLAND (1950). 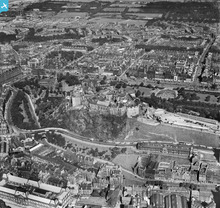 Edinburgh, general view, showing Edinburgh Castle and Princes Street. An oblique aerial photograph taken facing north-west. 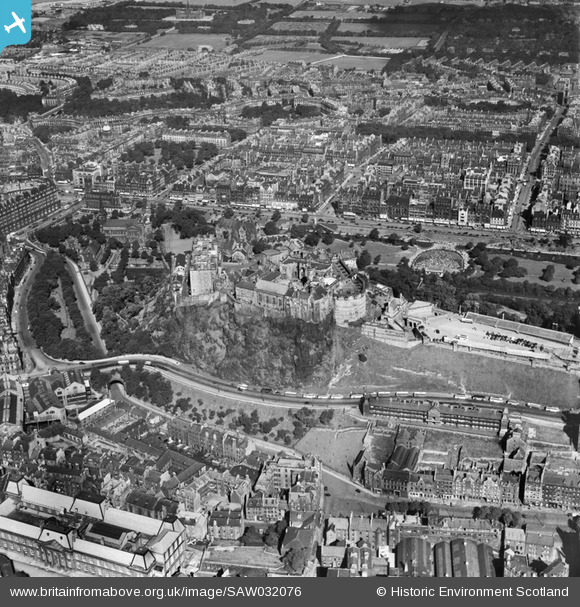 Title [SAW032076] Edinburgh, general view, showing Edinburgh Castle and Princes Street. An oblique aerial photograph taken facing north-west. The Royal Scots Greys Boer War Memorial. The attached photo was taken on the 3rd November 2007.